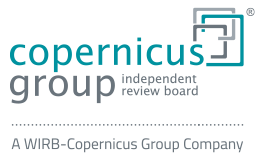 Established in 1996 as an independent institutional review board (IRB), Copernicus Group IRB’s (CGIRB) 28 board members meet twice weekly to carry out full board reviews. Expedited reviews are completed on a daily basis. CGIRB provides review of drug, device, biologic and social-behavioral studies for FDA and OHRP regulated research for sponsors, CROs and institutions. CGIRB was awarded full accreditation of the human research protection program by The Association for the Accreditation of Human Research Protection Programs, Inc., and was awarded full reaccreditation in 2007.